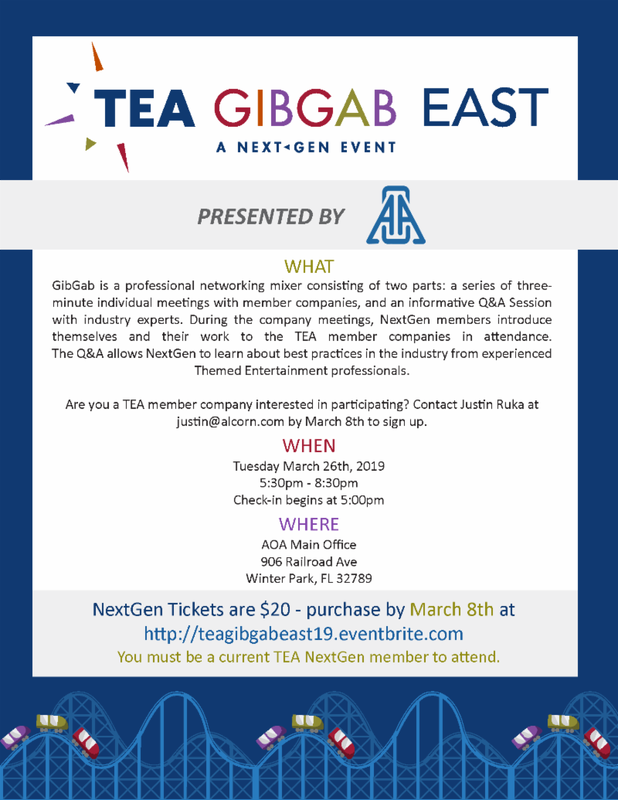 GibGab is a professional networking mixer consisting of two parts: a series of three-minute individual meetings with member companies, and an informative Q&A session with industry experts. During the company meetings, NextGen members introduce themselves and their work the the TEA member companies in attendance. The Q&A allows NextGen to learn about best practices in the industry from experienced Themed Entertainment professionals. Are you a TEA member company interested in participating? Contact Justin Ruka at justin@alcorn.com by March 8th to sign up.